Wool has natural safety aspects and it is flame resistant. This makes wool an ideal fibre for baby's and children to wear. Firefighter's, soldiers, police and astronauts are becoming more aware of wearing wool as it will not melt and stick to the skin if it becomes inflamed. Wool has a high ignition threshold of an amazing 600°C. Wool will self extinguish once the initial ignition source is removed. Am I convincing you that merino wool is the safest for children to wear yet? One wool fibre can bend 20,000 times without breaking. A yarn of wool is many fibres twisted together and then woven together to make merino wool fabric for clothing. So you can see how tough it can be. This makes for an extremely good fibre for socks as well. Merino wool socks are extremely durable and will last and last. We have had customers that have passed the socks down through all their children! "Just letting you know the socks arrived on Friday and they're perfect! So now my daughter has many socks as she's inheriting all her brother's old ones." This natural fibre is great for busy Mum's because wool doesn't need to be washed very often, unlike synthetic clothing which absorbs dirt and stains wool repels dirt. Modern wool is an easy care fibre being fully machine washable. Merino wool's warmth will actually increase with washing. This wonderful fibre is an insulator and will hold your body heat. Wool allows your skin to breath naturally so it is great to wear for sport and hiking. It has natural capabilities to remove moisture away from your skin and can absorb three times its own weight in moisture. You just won't feel damp so therefore you will stay warm. Wool is the perfect fibre for babies because at a young age the body hasn't learned to regulate heat very well and so a baby can be prone to over heating in synthetics. It is also great to wear for all seasons of the year but mostly in winter when we need extra layers to keep us warm. Best of All....Merino Wool is a Natural Fibre and Environment Friendly. This is one of my favourite qualities of wool! It's so good to know that wool is a natural fibre that we are still using hundreds of years after our ancestors first began to wear and use it. Wool is 100% natural and is grown from a sheep - not man made. Man made fabrics like synthetics use a lot more energy to produce. Wool is also biodegradable which means if it is put in land fill it is capable of decomposing so will therefore avoid polluting our earth. I love the fact that I can wear something natural that has all these amazing qualities. Wool is a renewable resource so as long as we have grass, paddocks, farmers and sheep we will have wool. Where does Merino Wool come from? Wool comes from a sheep which are shorn and it is just like cutting your hair. It does not hurt the sheep. Our shearers (the men and women who shear the sheep) have high quality control and a very aware of animal welfare. Merino is a breed of sheep that the wool comes from therefore it is called Merino Wool. Sheep continuously grow wool and are typically shorn once a year. It's very important to shear a sheep to keep the sheep healthy and cool in the summer. Separate parts of the fleece are removed to improve animal welfare. New Zealand is a rich sheep farming nation with history dating back to the 1800's. You can see more on our pioneer sheep farmers and how New Zealand was developed here. 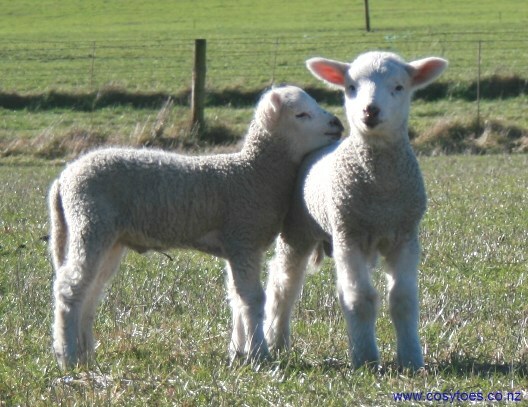 New Zealand sheep farmer's are very proud of their animal husbandry when it comes to farming and caring for their sheep. A long history of sheep farming exists in New Zealand. Healthy sheep are happy sheep which produce the highest quality wool and our farmer's know that. A Code of Welfare (2010) issued under the Animal Welfare Act 1999 set by the New Zealand government is strictly followed. The purpose of this code is to encourage all those responsible for its implementation to adopt the highest standards of husbandry and sets minimum standards for the care and management of sheep. Ok - are you convinced yet? If you are still not sure about merino wool take a look at some more information.